After her launch last month, the CNB 66 n°1 left her Bordeaux home harbour for the first sea trials off the La Rochelle coast. An important moment for the shipyard and all those in charge of following the boat throughout her life. Cédric, the skipper of the CNB 66 n°1, gave his first impressions, following a series of tests. 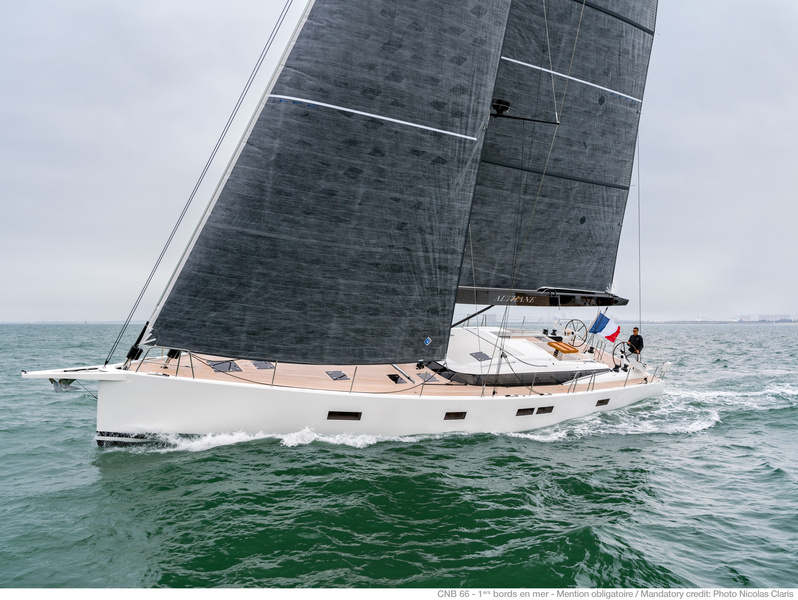 “Beyond her powerful design and her marked stylistic signature, under sail one immediately feels the incomparable softness and sharp sensitivity of the helm. Manoeuvres are simple and reassuring thanks to bow and stern thrusters. Long offshore tacks have confirmed her excellent performance under sail in a wide range of weather conditions”. The skipper adds: “The boat remains stiff under sail and easy to steer. When wind gusts hit, she only heels over by few degrees and accelerates, generating great sensations”. These sea trials enable us to tweak some of the systems. The roller-furler boom “made by CNB yacht builders and Hall Spars & Rigging”, was optimised in order to make its use more intuitive. Conceived as the largest sailing yacht manoeuvrable by a family crew, the CNB 66 offers a comfortable, discretely luxurious living space, perfectly suited to long cruises. 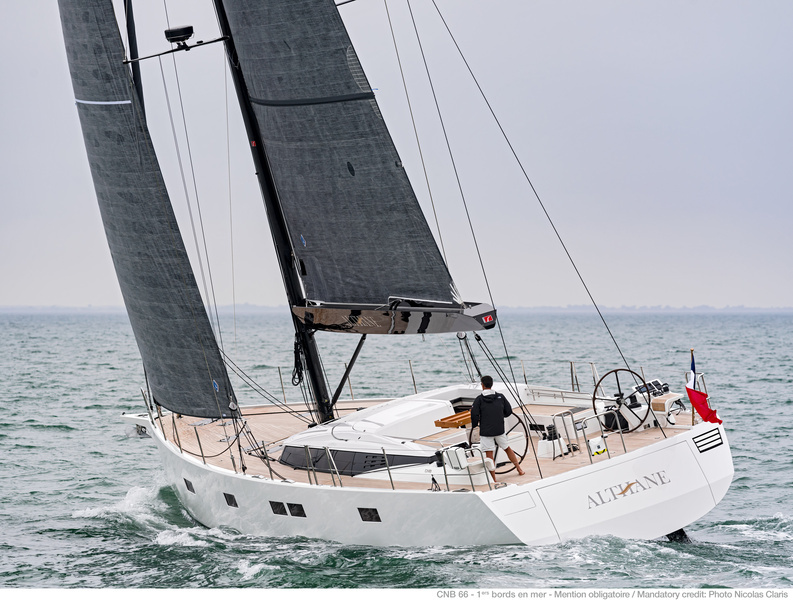 Once the final adjustments have been made, the CNB 66 n°1 will head to the Cannes Yachting Festival in September, before ending her first summer of navigation at the Voiles de Saint-Tropezregattas.